Lauenstein Castle is located north of Kronach, not far from the Franconian-Thuringian border. 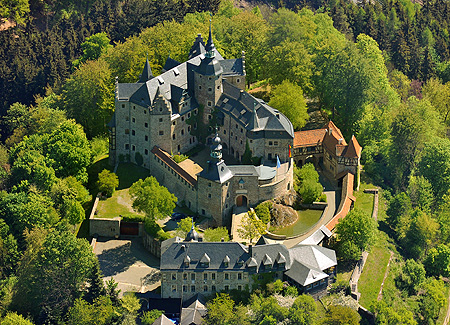 The oldest sections of it date back to the 12th century; from the 13th until well into the 15th century the castle was the seat of the once powerful Thuringian counts of Orlamünde. Following their decline it passed through various hands before the castle and territory of Lauenstein were taken over by the lords of Thyna. The main wing with its four corner towers that is named after them was built in 1551–1554 and is a remarkable example of Renaissance palace architecture in central Germany. In the year 1622 the Bayreuth margrave Christian took over the castle; in 1791 it fell to Prussia and in 1803, finally, to Bavaria. Lauenstein Castle passed into private ownership in 1815 and subsequently fell into ruin, until it was bought in 1896 by Dr. Erhard Meßmer, who restored it in the late Historicist style and furnished it in imitation of the Wartburg near Eisenach. 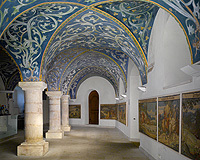 This combination of 16th-century architecture with elements of Historicism and Jugendstil is particularly evident in the Orlamünde Hall (entrance hall) and the large Knights’ Hall in the Thyna building. In 1962 the Free State of Bavaria acquired the castle and from 1966 to 1976 extensively restored the whole complex. 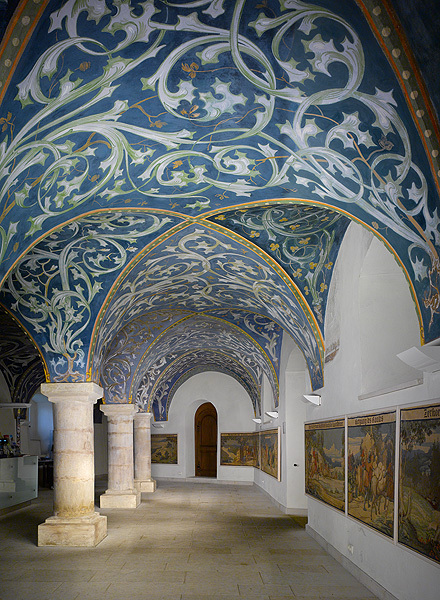 A comprehensive museum was installed in over 20 rooms of the main castle wing in which armour and weapons together with the furnishings that have been preserved – tiled stoves, pictures and wall and ceiling paintings – authentically recreate castle life in the Middle Ages. Displays of rural and hand-made objects and special artisanal collections of locks, lamps and musical instruments complete the vivid picture of the period presented by this museum. The Wedding Room is suitable for civil weddings with a maximum of 40 persons. From Ludwigsstadt station you can take the bus No. 8328 or a taxi or walk to Lauenstein (about 4 km).